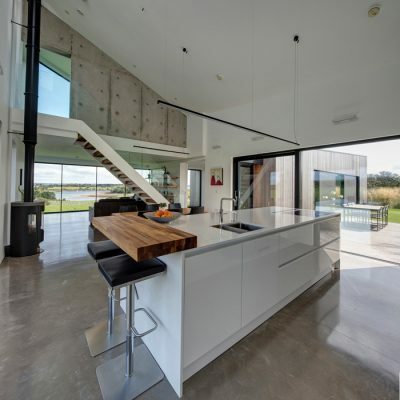 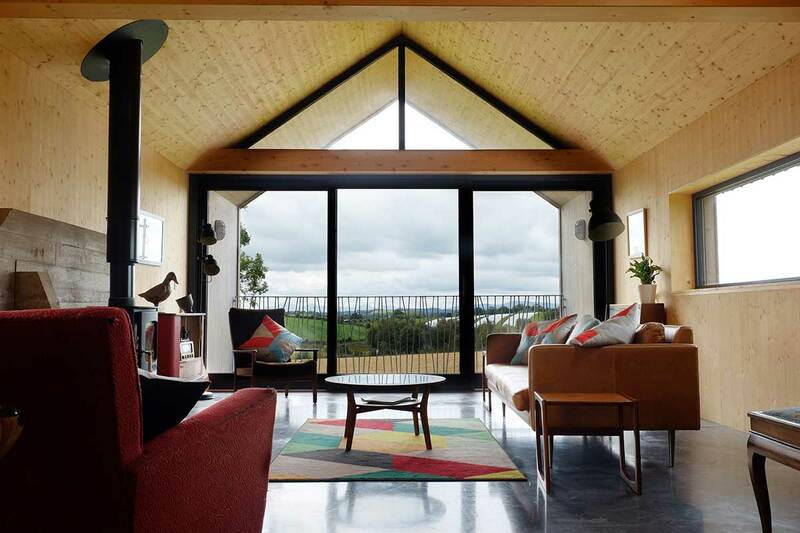 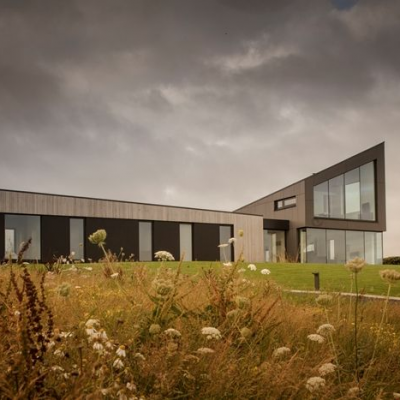 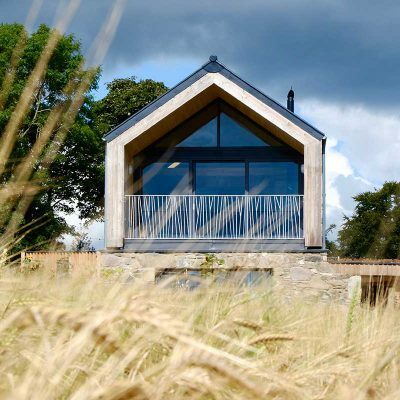 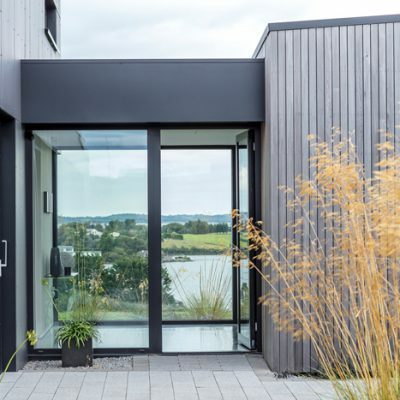 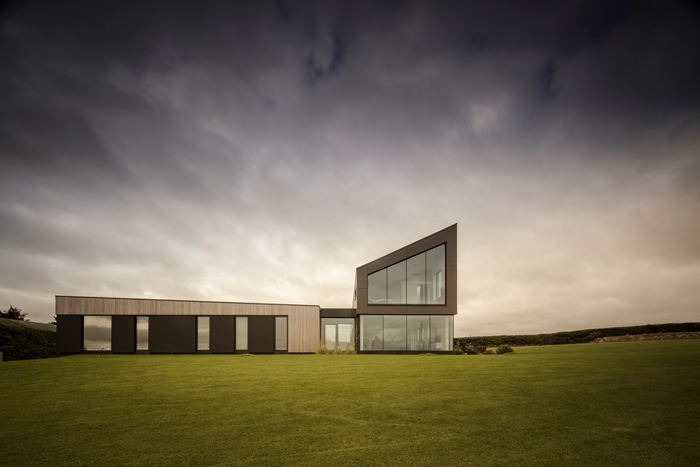 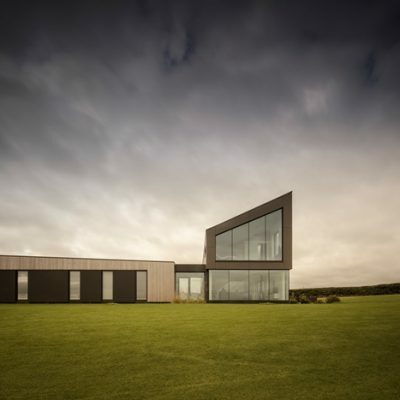 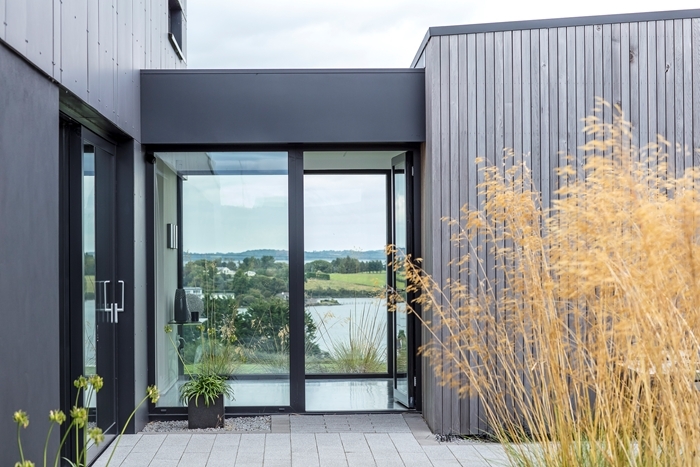 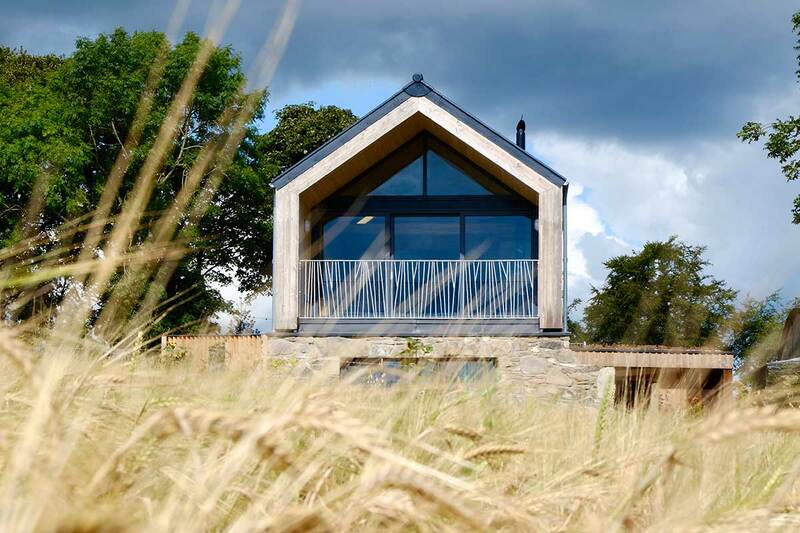 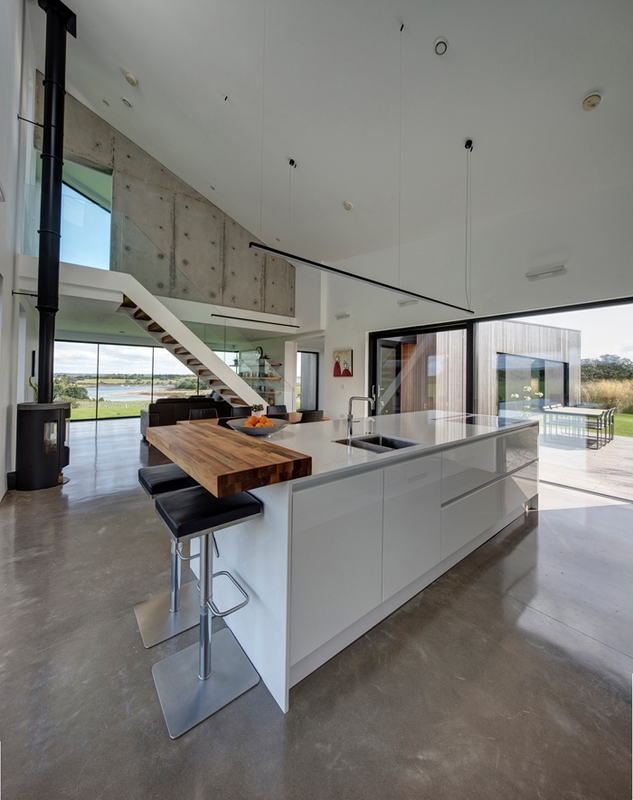 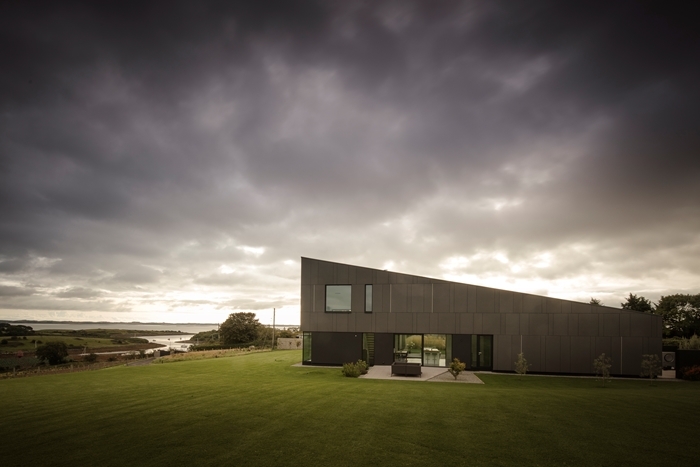 The Royal Society of Ulster Architects’ 2018 awards, RIBA’s regional awards for Northern Ireland, saw three family homes commended for their architectural merit. 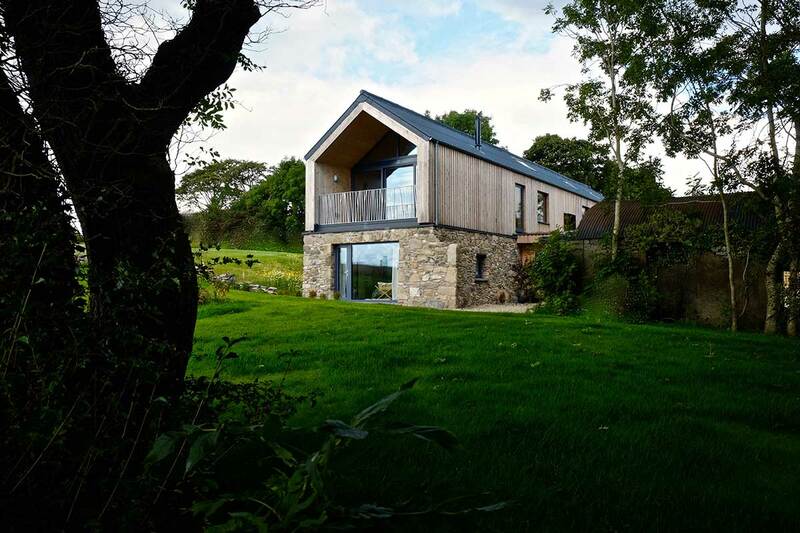 Described as a “beautifully crafted building full of intelligent and delightful design play”, Micah’s family home makes the most of the drumlin landscape and references vernacular architecture through the use of the barn typology, scale and section. 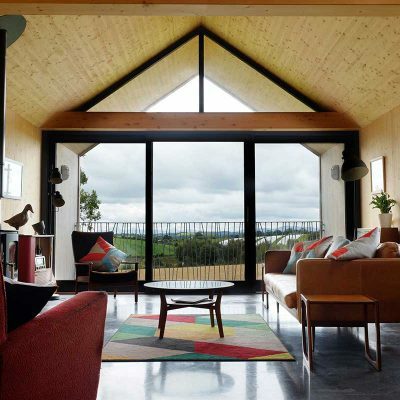 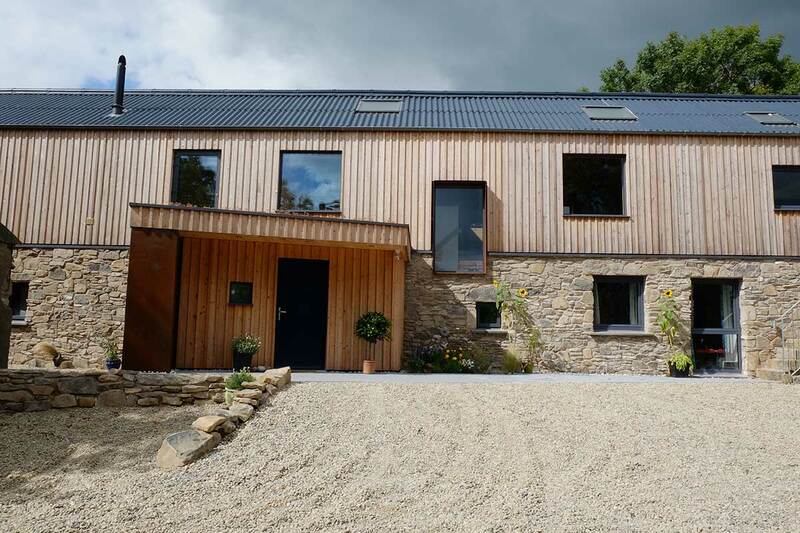 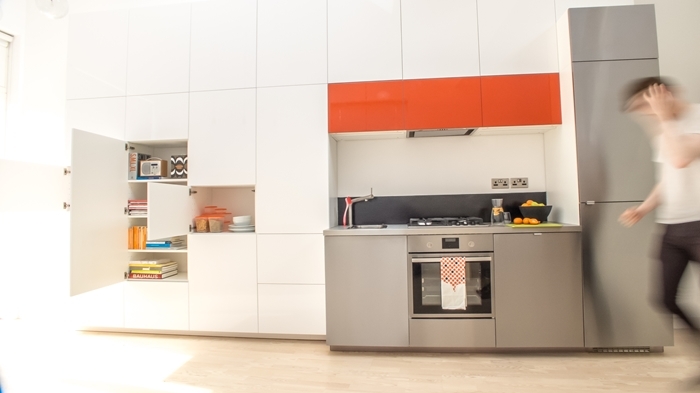 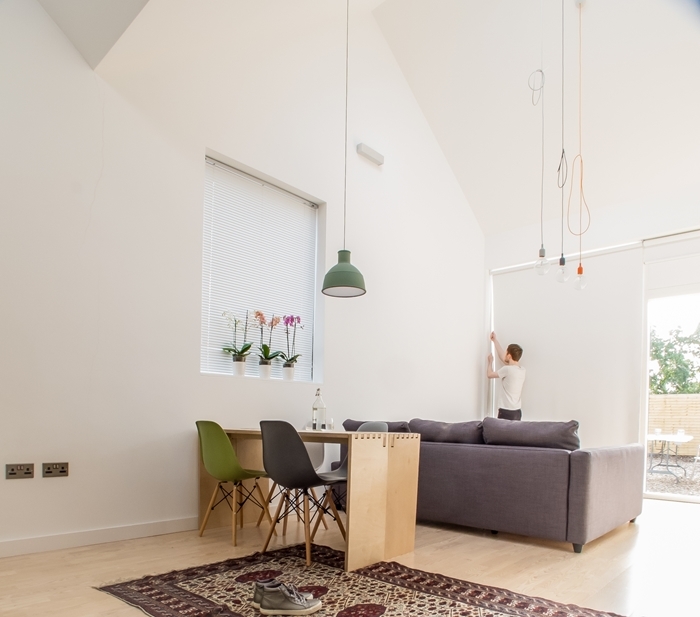 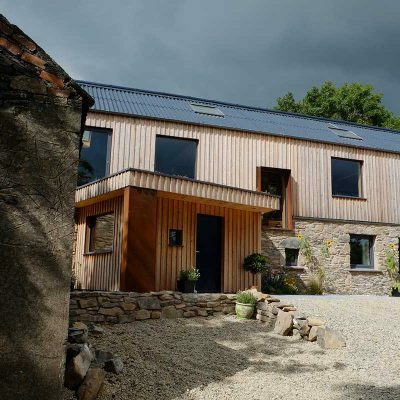 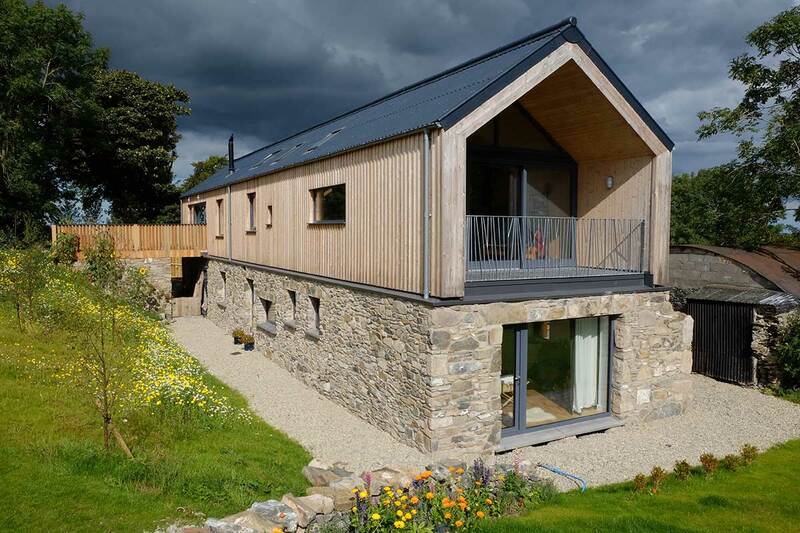 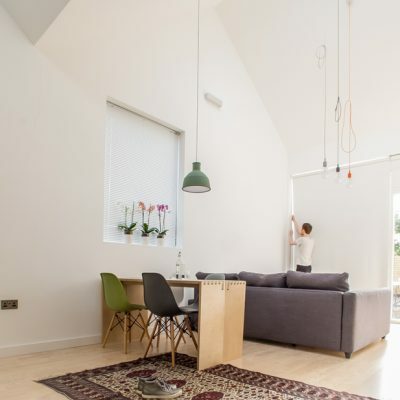 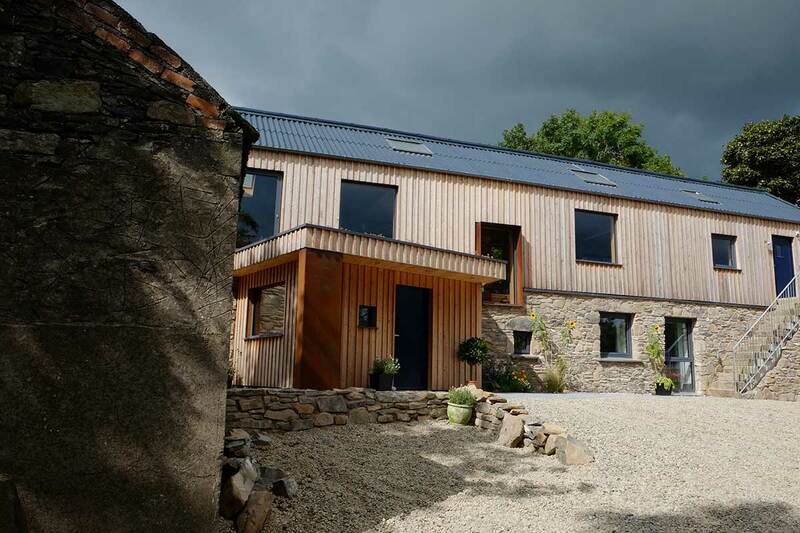 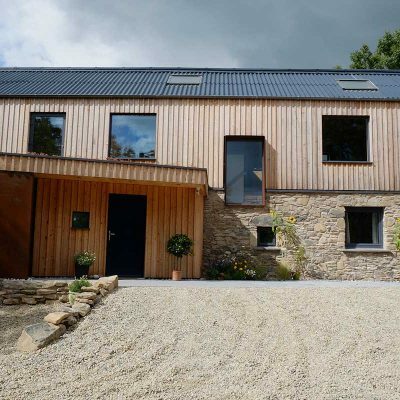 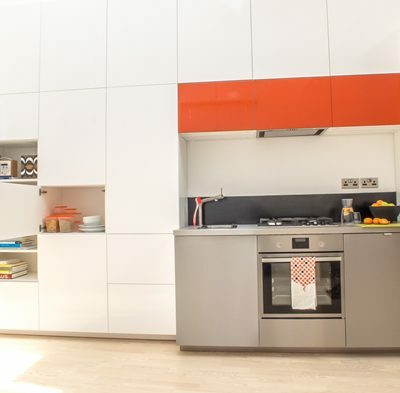 At a cost of £1,000 per sqm, this family home used sustainable materials wherever possible. 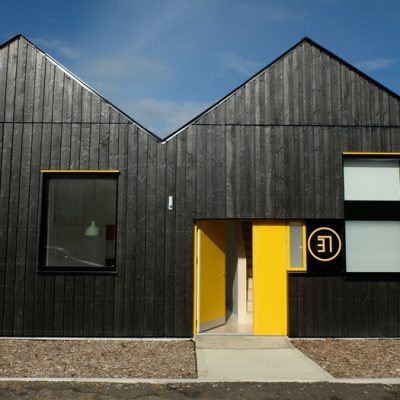 The compact form and layout, were also commended. 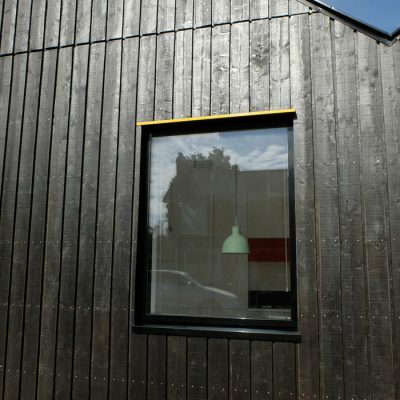 Our interview with Micah is available here. 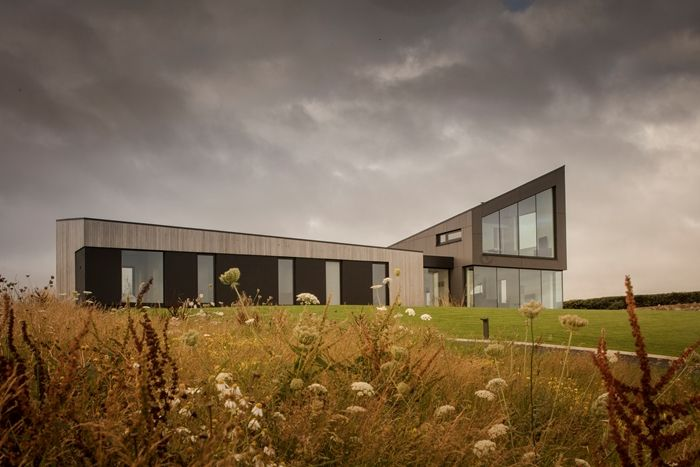 Maison Wedge is positioned just below the hill ridge line, giving it expansive views along the Strangord loughshore of drumlins, sea inlets and archaeology. 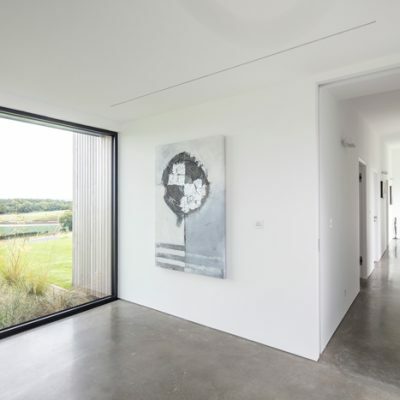 The judges were impressed by the careful detailing developed to hide anything utilitarian that would interrupt the reading of the project as two simple sculptural bocks. 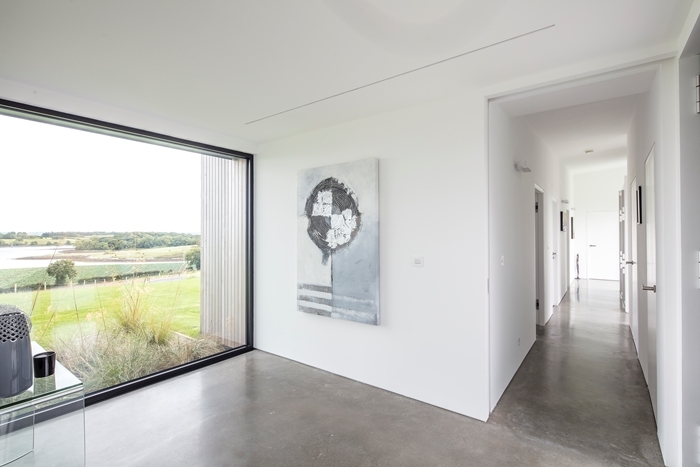 This approach extended to the garage doors and inside a similar approach was taken where the access to garage and utility spaces are disguised as unit doors in the kitchen wall, almost as a nod to a castle’s secret door. 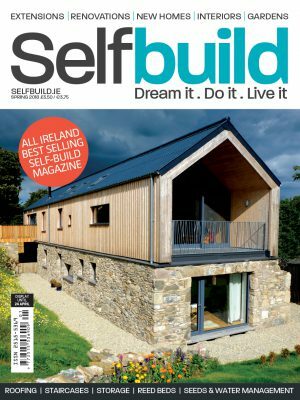 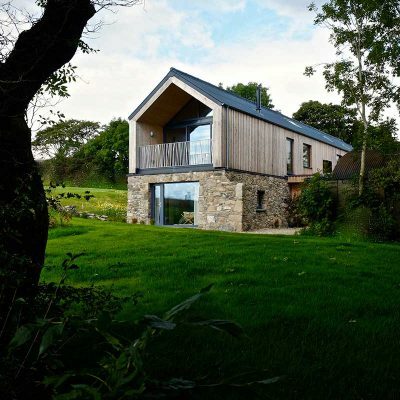 More projects from BGA Achitecture as profiled in Selfbuild magazine are available here and here. 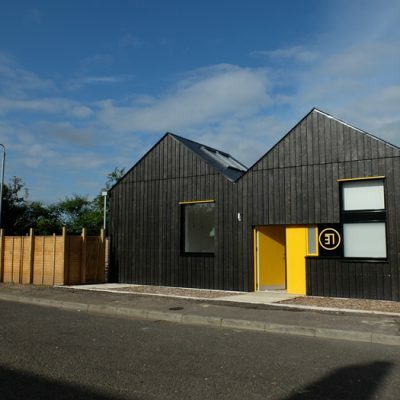 At a cost of £1,700 per sqm, this 56sqm family home addresses the need to densify Belfast’s housing stock. 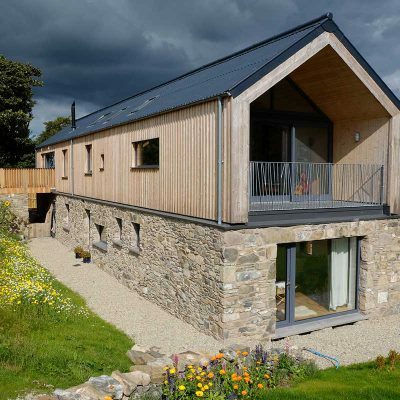 The architects built this home for themselves within a restricted budget. 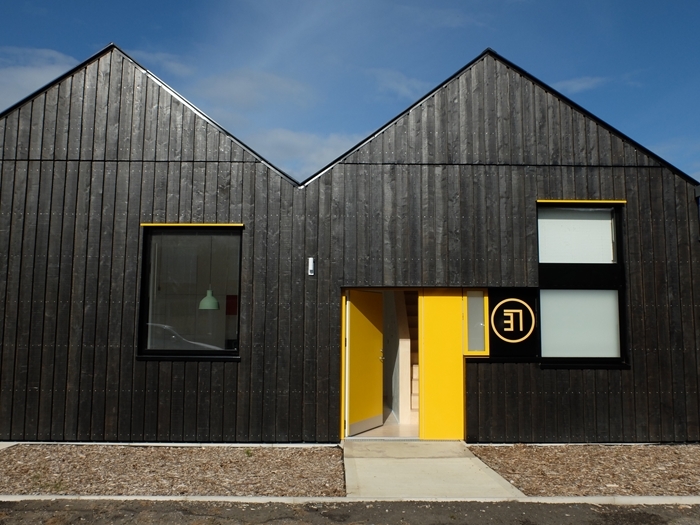 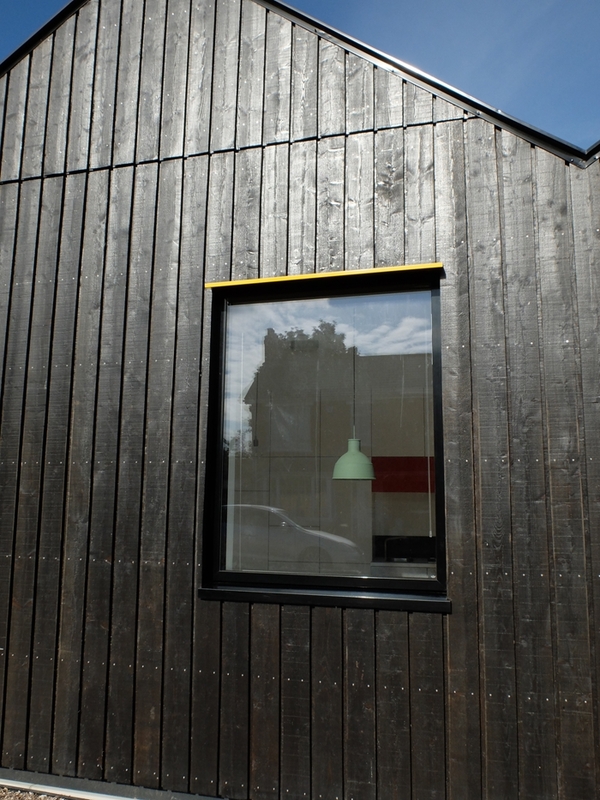 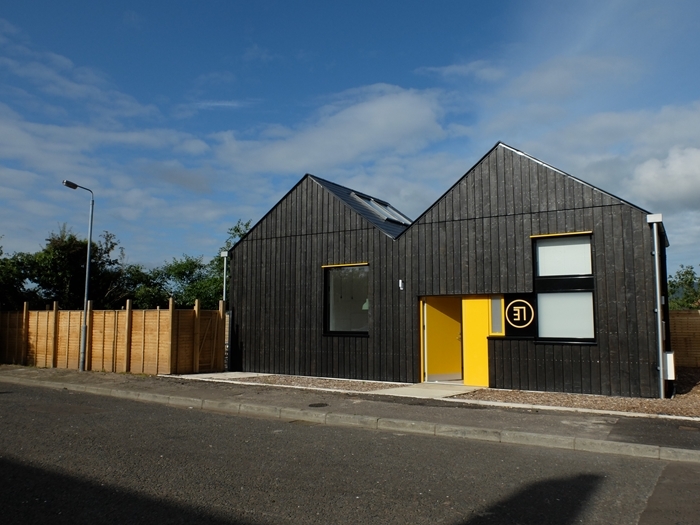 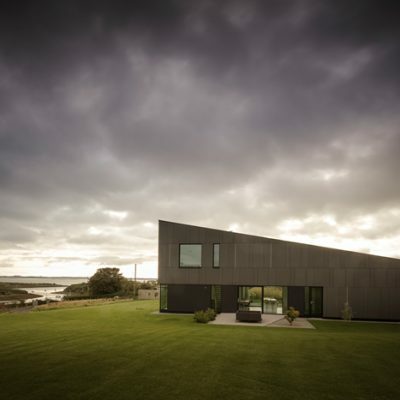 “The result is a playful black timber clad dwelling which abuts almost directly onto the street,” said the judges.